If you have suffered a traumatic brain injury due to someone else’s carelessness or recklessness, a brain injury attorney may be able to help. You may have been hurt unintentionally, due to another person’s negligence. Did you sustain your injury when you slipped on the icy sidewalk in front of a grocery store? Maybe you slipped on a wet floor at a local fast food restaurant where there was no warning sign? Perhaps you fell down the stairs in your own home after hiring contract workers to install new carpeting? Or you may have been hurt intentionally. Someone may have hit you with a fist or weapon. A driver may have run a red light and then run you over. If so, you may be able to seek compensation for your injuries. We are fortunate in this country that laws exist to protect the public from others’ irresponsible actions. Sometimes, a business owner is at fault, sometimes a doctor, sometimes a product manufacturer. In the case of a faulty bicycle helmet, for example, if a person sustains a traumatic brain injury in a fall or accident because the helmet didn’t work as it was supposed to, that person can seek compensation. TBI could be due to a case of physician error; a baby might experience a traumatic brain injury in the delivery room. As a result, this child might face a lifetime of disability. If you or a loved one has suffered a traumatic brain injury, contact an attorney today for a free case evaluation. Private individuals may be at fault in other situations. If you suffer a traumatic brain injury in a vehicle crash, you may be able to seek compensation if the driver of the other vehicle caused the accident. No matter the specific situation, an experienced, knowledgeable brain injury attorney, such as an associate attorney at Weitz & Luxenberg, may be able to help you. You may be wondering if your traumatic brain injury is something for which you can seek compensation. Sometimes, the situation seems clear. If someone rear-ended your car, or otherwise crashed into a vehicle in which you were either the driver or a passenger, and you sustained injuries, you may be able to file a brain injury lawsuit. 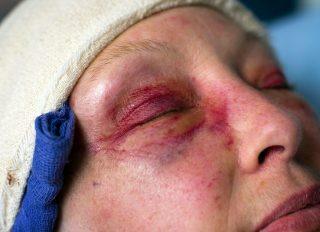 Any head trauma in such a situation should be taken seriously; you should seek emergency care immediately. Not every situation is as clear-cut when it comes to seeking compensation. For example, someone was drinking in a bar and got into a fight with another customer. He fell and hit his head on the floor, but got up feeling fine. If the customer then blacked out later, he might very well be able to seek and receive compensation — even though the injured person was drinking or drunk. That client would be pleasantly surprised to discover that he was wrong. Weitz & Luxenberg attorneys examine the circumstances of each case carefully, and, in the end, have won million-dollar victories for our clients. One client was awarded more than $13 million after being attacked by a bouncer. Another client won a multimillion dollar judgement due to a fall from an apartment walkway that resulted in serious injuries. The building owner was found to be at fault — he was found to be negligent. Our attorneys have also won millions of dollars for victims of hit and run and pedestrian-related accidents. In one instance, a passenger in a vehicle was left paralyzed from the chest down after a reckless driver ran a stop sign and then fled the scene. “It’s always gratifying to achieve a victory for our clients. I can’t begin to imagine the pain and suffering they’ve been forced to endure, but if I can help make their lives better in some way, that’s what makes everything worth it,” says Adam Raffo, an associate attorney at Weitz & Luxenberg. For many of our clients, there is more to their lawsuit than winning money. Many of them are going through one of the hardest times in their lives. That is why we are so proud of how they feel they are treated by our attorneys. You may think your traumatic brain injury was just a terrible accident and you just have to live with the consequences. However, by consulting with one of Weitz & Luxenberg’s attorneys who specializes in personal injury, you might learn that a lawsuit is worth pursuing. Maybe you were driving, hit a patch of black ice, and flipped your vehicle over, sustaining serious injuries in the process. You might blame yourself or the black ice, but it might also be possible that the vehicle was defective in some way and contributed or even caused the rollover — or made whatever injuries you sustained significantly worse. In fact, maybe all across the country, people were sustaining life-threatening injuries when their vehicles rolled over. By consulting with an experienced brain injury attorney, you might learn your vehicle was just one of millions of vehicles that was defective. General Motors is a perfect example of a manufacturer that sold a defective product that affected people across the country. Although GM ultimately recalled millions of defective vehicle models, for some victims, the recall came too late. A number of people had already been injured or died in crashes linked to their vehicles’ faulty ignition switch. If you have sustained a traumatic brain injury, the cost — physically, psychologically, and financially — could be astronomical. The best way to find out if you might be eligible to receive compensation is to speak with an experienced brain injury attorney. Are you or a loved one suffering from a traumatic brain injury? If so, contact an attorney today for a free case evaluation. Weitz & Luxenberg employs attorneys who specialize in everything from personal injury cases to defective products. As a national law firm, we have been winning cases for our clients for 30 years and have earned a reputation of going up against those who might otherwise seem untouchable. Whether you sustained a traumatic brain injury from a car crash, a fall, a defective product, or an assault, we encourage you to give us a call for a free consultation.